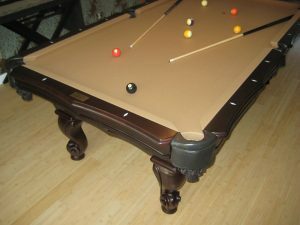 What a great birthday surprise! 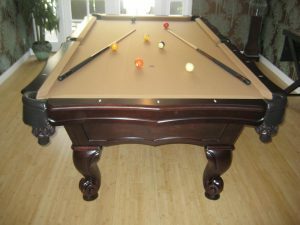 A beautiful traditional mahogany stained pool table delivered just in time for a birthday/Memorial Day celebration. 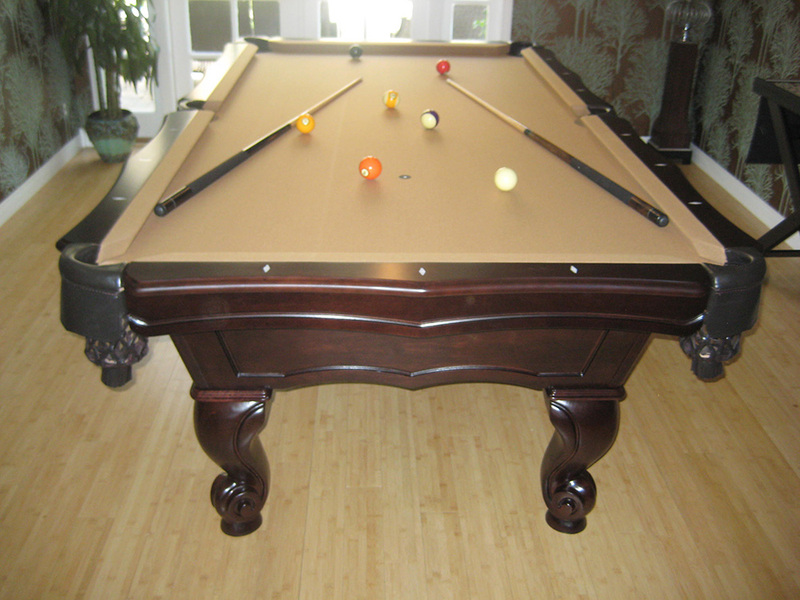 This Fischer Sorbonne pool table has scalloped rails and cabinet frame, provides a perfect party centerpiece.